Two powerful yet opposing forces, the armies of Anshar and Nergals in the universe collide to give birth to the Anshar Wars. The forces of Anshar are the last bulwark against the destructive and ruthless Nergals, as they intend to bring the people of Anshar to their knees. As a space fighter lieutenant in the Anshar’s army, you are tasked to fight in the deadliest war humanity has ever seen! Will you survive? 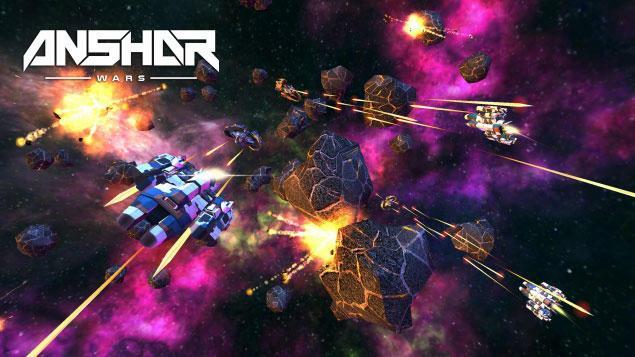 Anshar Wars is an incredible MMO action shooter game, whereby you’re given your very own space fighter to pilot, so you could take to the skies... ahem, space... and defeat as many Nergal spacecrafts as you can. The controls in the game are very easy to grasp. You are even given an option between using GearVR’s inbuilt touchpad or a bluetooth-linked gamepad. For players using the touchpad, you just need to tap to shoot and swipe forward to launch a missile. For gamepad users, you will need to use the right trigger to fire your laser guns, and the left trigger to launch missiles. As your space fighter will be moving forward on its own, you simply need to use your head (the head tracking sensors) to pilot your spacecraft. It may be a bit dizzy for a new player at first, but you will get used to the sensation of navigating a spacecraft using only your head pretty quickly. 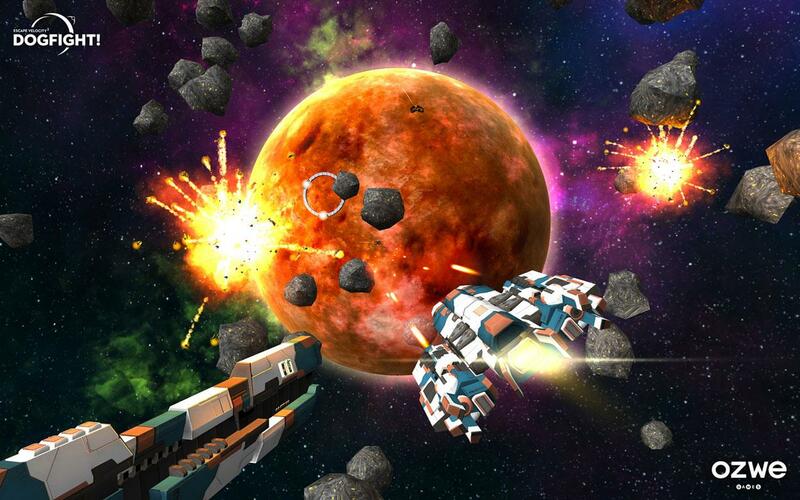 Furthermore, Anshar Wars offers players 2 different game modes, namely solo and multiplayer. However, the solo mode only provides 1 mission for you to play in, while the multiplayer option is still in its beta phase and is not available as of yet. 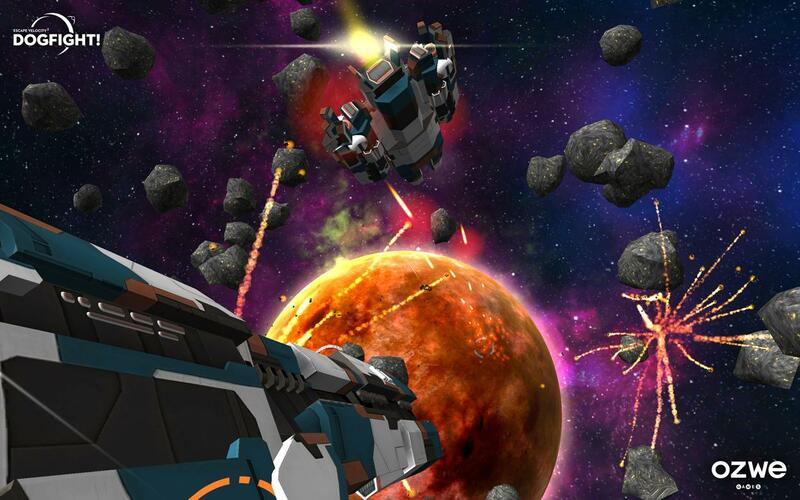 Although the variety of missions in the game can be very much lacking, the game itself offers a unique virtual reality experience that GearVR users simply mustn’t miss out on! In the single solo mission in Anshar Wars, you’ll be playing a pilot, who is trying to, singlehandedly, defend a friendly mothership from being attacked by Nergal spacecraftsin the Galark System. It is pretty much an endless shooter mode, whereby you’ll get to see how many kills you can rack up before getting your spacecraft destroyed. The game has plenty of boosters to help you along the way, such as health kits, ammo refills and missile refills, which will periodically respawn near to your mothership. As long as you’re aware of the status of your spacecraft, you should be able to survive for quite a long time in the game. However, there are some quirks of the game that beginners would be glad to know of. For example, since you’ll be playing the game in a third person view, aiming your spacecraft directly at an enemy fighter might not work sometimes. It all boils down to the angle of your spacecraft. Not to mention, line of sight works perfectly in the game, so you might want to fully utilize obstacles, mainly asteroids, that are scattered across the battlefield to avoid enemy fire. Knowing when to duck and fly straight to the booster respawn area, and when to pursue a damaged enemy craft is also important in this game. All in all, the exhilarating experience of chasing down enemy spacecrafts, while trying to avoid getting too much damage, in virtual reality is exactly what Anshar Wars is able to offer. When you couple this amazing experience with some really epic sound effects to let you feel as though you are in the heat of combat, the combination showcases how immersive a virtual reality game can be. However, the game still needs to improve in order to retain their players... After all, the same endless mission can only be fun for so long. That said, Anshar Wars is without a doubt an incredible virtual reality game that GearVR users should definitely try out. Don’t miss out!